Consultant Cardiologist, expert in Addiction management & HIV-AIDS care. Dr. M. Shashidhara Menon trained at the Armed Forces Medical College, Pune (1974) and Institute of Naval Medicine (Mumbai University), India, has done post doctoral Fellowship training in HIV Medicine and Biostatistics from the University of South Florida, USA. 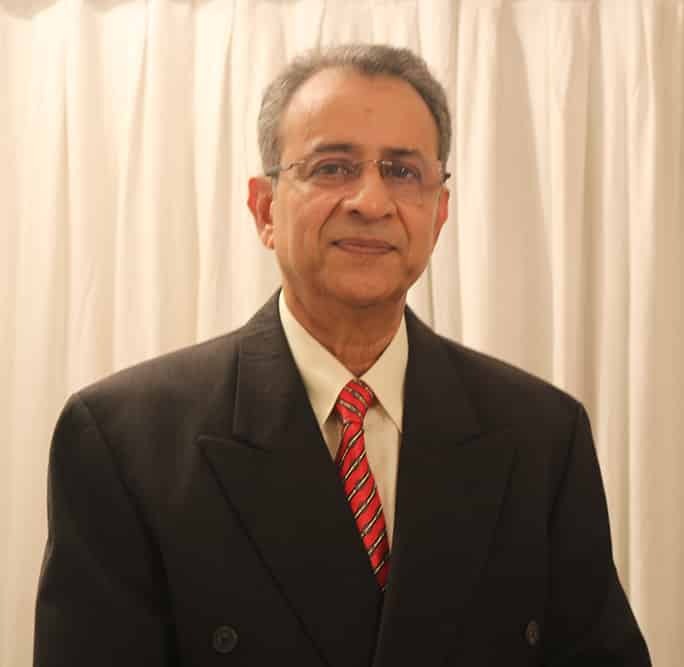 Dr. Menon is a practicing Consultant in Mumbai since 1990 in the field of Clinical Cardiology, Addiction Management and HIV-AIDS Care, thus bringing over four decades of medical experience and over two and a half decades of expertise in the field. Having extensive experience as a therapist, researcher and trainer he also is the author of several internationally peer reviewed research publications, a contributing editor of a Government of India Monograph on HIV-AIDS Primary Care and a United Nations published Practitioners Guide in Substance Use Disorder management, for use in developing countries. He was the Medical Director of the largest NGO addressing Chemical Dependency and HIV-AIDS in India . Dr.Menon has in the past been Honorary Professor of Medicine under the Maharashtra University of Health Science, Consultant (Drugs and HIV) with the United Nations Office on Drugs and Crime, Regional Office for South Asia at New Delhi; the Government of India Ministry of AYUSH Regional Research Institute for HIV-AIDS and also National Level Trainer for the National Institute of Social Defense’s National Centre for Drug Abuse Prevention (NISD-NCDAP). He was also the International Trainer in Substance Use Disorder Management for the Health Ministry of the Royal Government of Cambodia. Above all, Dr. Menon is a Practitioner and Trainer of Yang Style Tai Chi Chuan for over three decades, which he also includes as Holistic Technology to benefit clients.